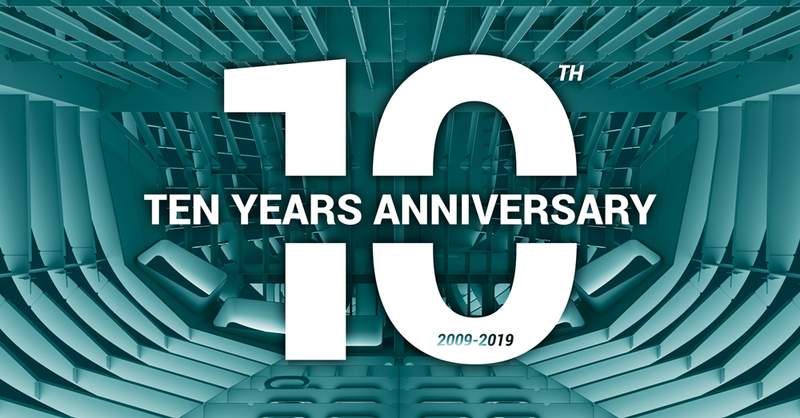 10 years have passed, we’re wiser than ever! Creating a new independent Ship Design office was no obvious choice back in 2009. Doing it in Lisbon was, well… borderline insanity? But, looking back, probably those years of hard struggle, amidst the financial crisis and within a geography which had slowly parted from its shipbuilding industry, were instrumental in our direction. We innovated with our flexible approach to the industry, we introduced new tools in the market, and we have developed new methods and workflows, always listening to our clients. We assumed an international profile from day one, promoting our services wherever they were needed, and we keep proud of consistently exporting over 90% of our services to several different markets. It has been an intense journey and it’s a path we couldn’t have made without the help of our families, friends and clients, and to whom we’re deeply grateful. The team has grown, became wiser, but we’re feeling younger than ever. 10 years have passed since we have incorporated. We’re teenagers now! https://veranavis.com/wp-content/uploads/2019/03/10-years.jpg 523 1000 Vera Navis https://veranavis.com/wp-content/uploads/2018/10/veranavis-logotipo.png Vera Navis2019-03-26 09:00:182019-04-14 20:31:3010 years have passed, we're wiser than ever!